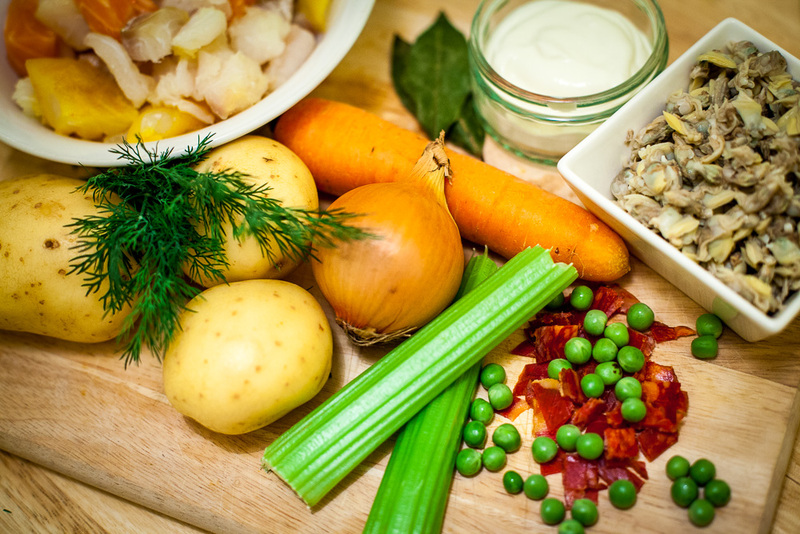 When it’s cold outside, nothing warms up as a much as a delicious, homemade soup. 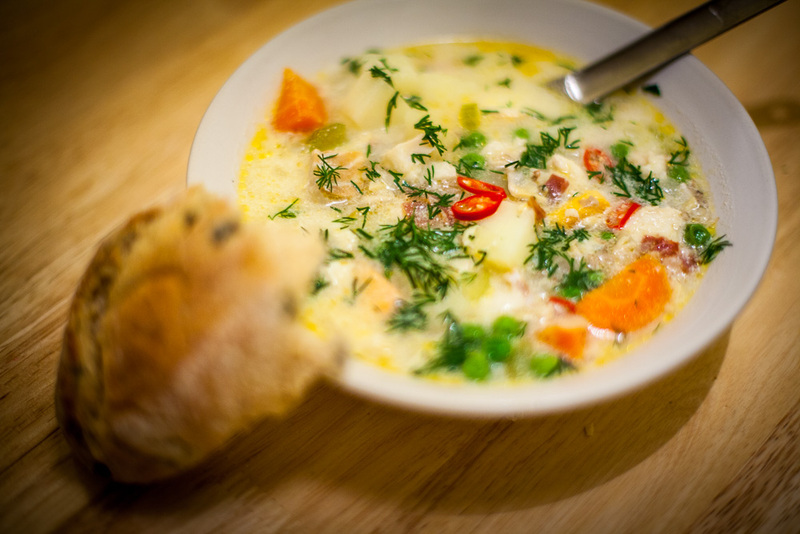 One of our favourites is a nice creamy soup called Clam Chowder, originally from New England. We adopted it with a twist and below is our recipe. Don’t be put off by the longer list of ingredients, it’s so easy and quick to do at home, and so worth it! To address the needs of the average busy person we propose to use frozen peas and canned clams. It would be obviously better with fresh clams and peas, so feel free to adapt the recipe according to your taste and time. Add the dill freshly chopped, some chilli rings and serve immediately with some bread (ideally sourdough).